Ithaca is a town of 30,000, located on the shores of Cayuga Lake, one of New York’s finger lakes. 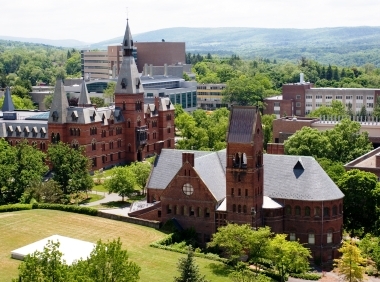 Home of the Ivy League's Cornell University, Ithaca makes an ideal retirement community for anyone who would like to live in a bustling college town. During the school year the population doubles as Cornell and Ithaca College’s student body move in. The area has long been a wine growing area and the area’s many vineyards and farms make for picturesque touring. Ithaca is a charming town in a valley surrounded by rolling hills with many walkable neighborhoods. 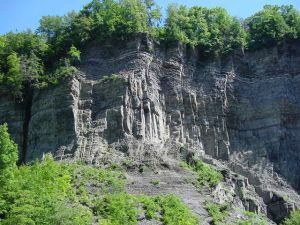 There are three dramatic gorges in town, including one on the Cornell Campus that is a famous attraction. Perhaps the most famous of its many outstanding restaurants is The Moosewood Restaurant, a vegetarian outpost and the source of the classic Moosewood cookbook series. Ithaca definitely has a liberal flavor, and the Moosewood provides a good indicator. Ithaca is located in Tompkins County in central New York.